With US equities holding moderate gains for much of the day, the VIX remained subdued (intra low 14.27), settling -2.9% @ 14.67. Near term outlook offers a break of the sp'2039 low, which should be enough to break above the VIX double high of 17.19... into the low 20s. Even if the equity market can see another down wave next week - breaking the recent low of sp'2039, VIX will likely only be able to briefly break into the low 20s. 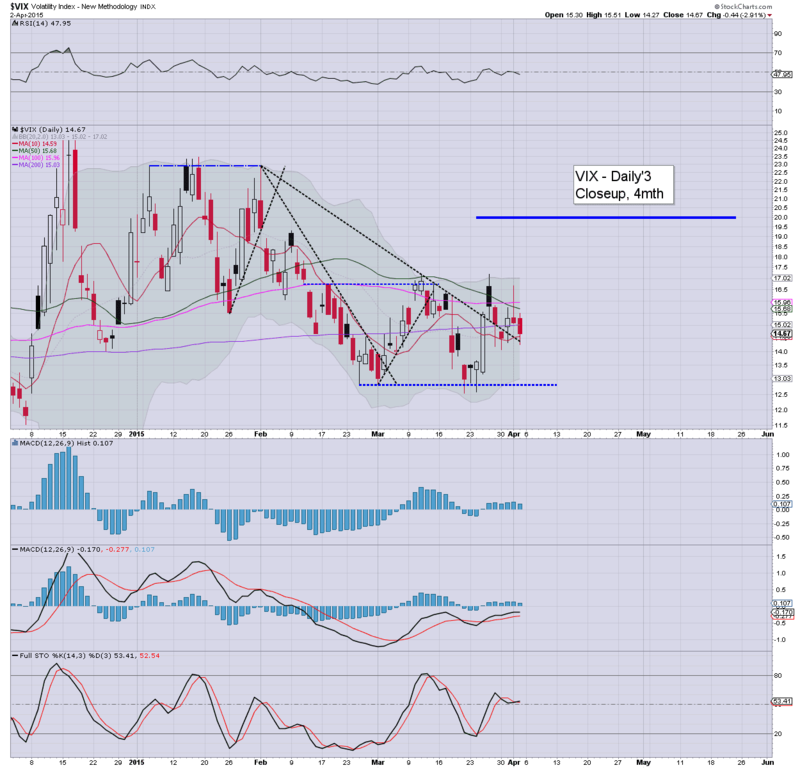 Things would only get interesting in VIX land on a break of the sp'500 200dma, which will be in the 2013/15 zone next week. Such a break would offer the sp'1960/40 zone... which would equate to VIX in the mid/upper 20s.. but that remains a very unlikely scenario. US equities closed moderately mixed, sp +7pts @ 2066 (intra high 2072). The two leaders - Trans/R2K, settled -0.8% and +0.3% respectively. Near term outlook remains bearish, with the sp'2039 low set to be broken next Monday. The bigger issue is whether the 200dma will hold... although that has already failed for the Trans'. *a stronger closing hour than I had expected, but still holding under the earlier high of sp'2072. The bigger weekly/monthly cycles remain 'moderately' in favour to the equity bears, at the very best.. there is viable downside to the sp'1960/40 zone. Frankly though, in the scheme of things, a 5% drop is nothing particularly exciting, and the market would rally pretty powerfully from any such decline. Overall, a week for the equity bulls. 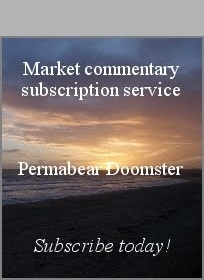 **I will post an early Friday update.. on the jobs data.. along with how the futures market reacts. 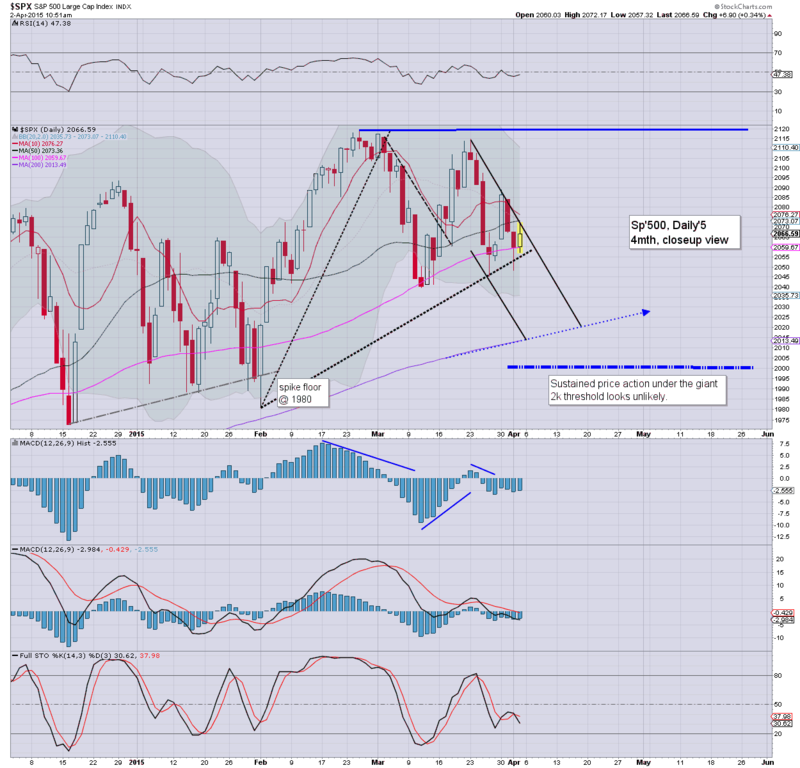 US equities are holding moderate gains, but some selling into the weekly close looks due. VIX is reflecting no concern ahead of the Friday jobs data... when the market will be closed. Metals remain weak, Gold -$3. Oil is broadly weak, -0.9%. *I highlight the bigger weekly cycle... its a mixed week. Yes, the equity bulls look set to achieve a net weekly gain.. but there is no clear turn.. and the bears can still be looking to break <2039 next Monday. Whilst US Sec' Kerry is boring most out of their minds with his arrogant claims to be in control of Iran.. which unless I'm mistaken, is a completely separate sovereign state of this planet... equities look set for some weakness into the close. A weekly close in the sp'2050s would be useful to the equity bears... along with VIX 15s. back at the close.. to wrap up the trading week. US equities are battling to hold minor gains, a daily close in the sp'2050s remains very viable. VIX is subdued ahead of the Friday jobs report, -3% in the 14.60s. Metals are weak, Gold -$3. 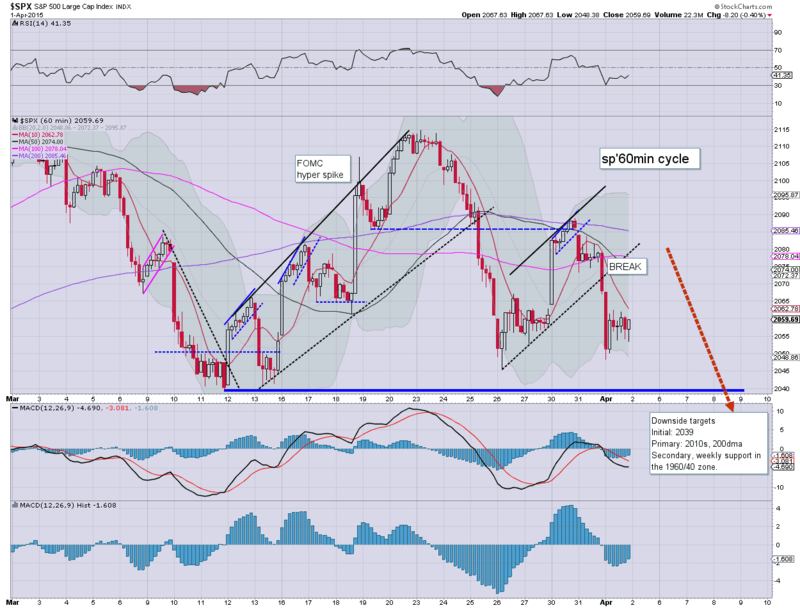 Oil is broadly weak, -1%.. as Iranian developments suggest more oil is coming this summer. 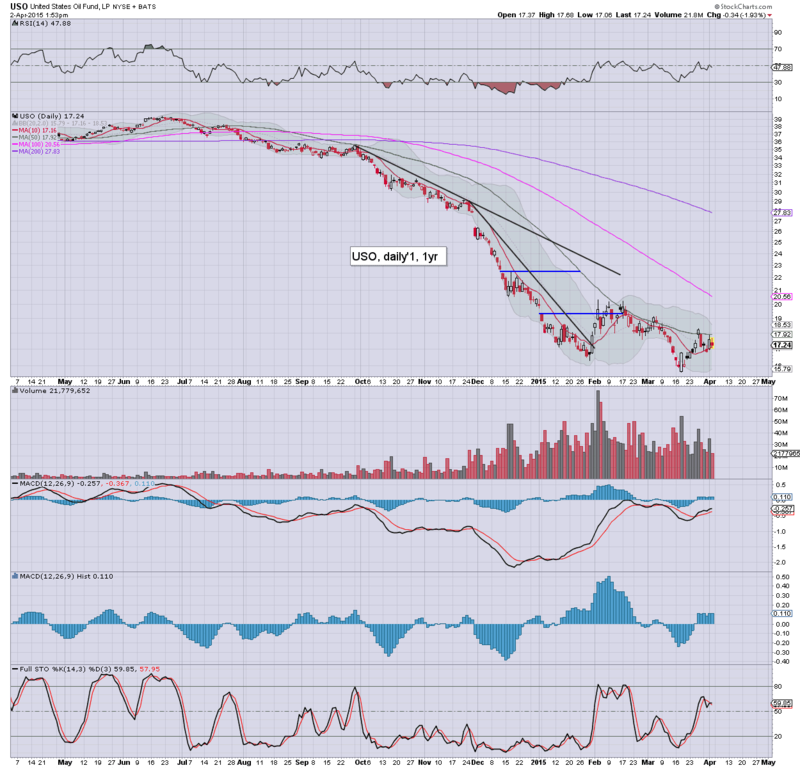 *It remains somewhat amusing that despite all the powerful up days.. Oil remains very close to the recent lows. Nothing has changed in terms of supply... a 'fire sale' remains very likely this summer. Little to add on equities. I'd still expect some degree of selling to appear in the closing hour of this trading week, as some of the rats get twitchy. notable strength: DISCA +2.4%... 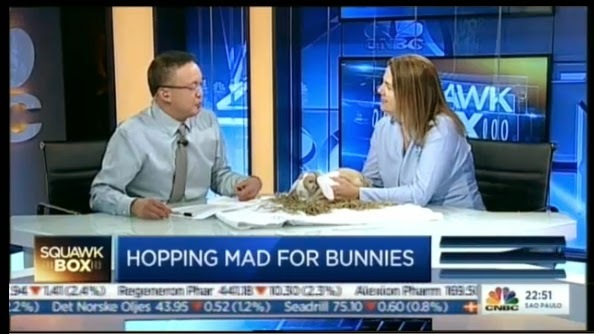 I'm not aware of the reason, and its counter to the recent weak price action. 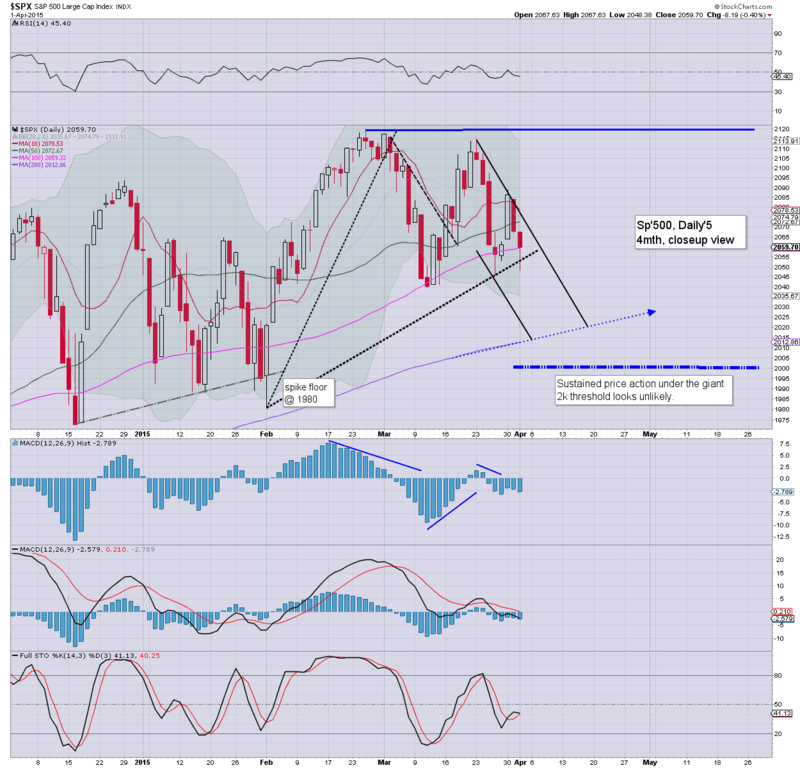 Equities are in minor chop mode, with the sp' seeing minor chop in the 2060s. A daily/weekly close in the 2050s remains highly probable as some of the rats will likely sell ahead of the long weekend. 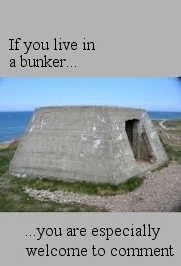 Most notably. 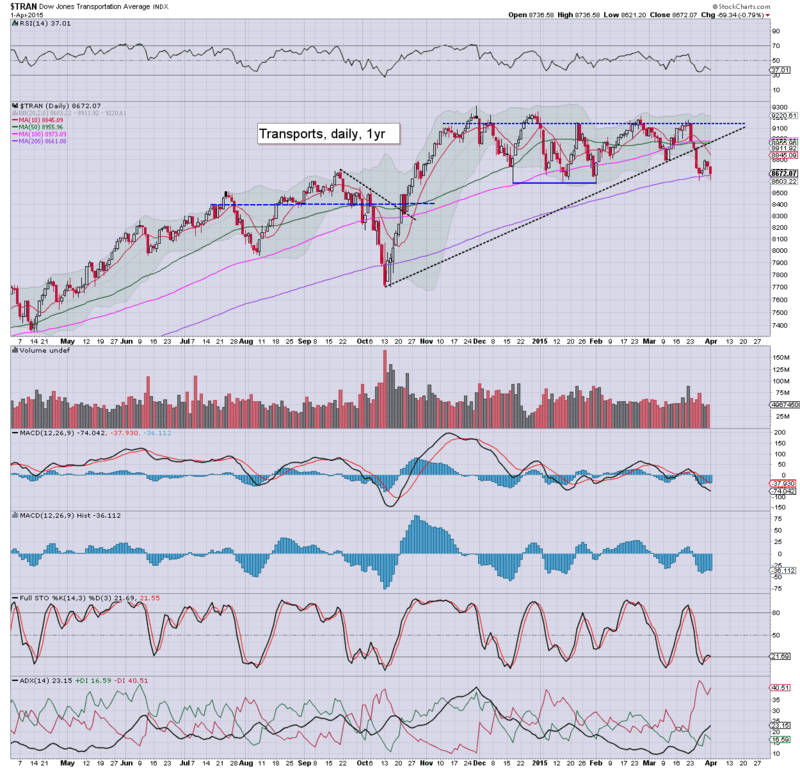 the Trans 'old leader' is looking very weak, -0.5%, and unable to hold above the 200dma. Suffice to say.. Trans remains an index to give some importance to... and it does not bode well for the broader market early next week. Best guess.. the sp'2039 low will be taken out.. offering at least a test of the sp'500 200dma in the 2013/15 zone. Whether that holds.. very difficult to say. 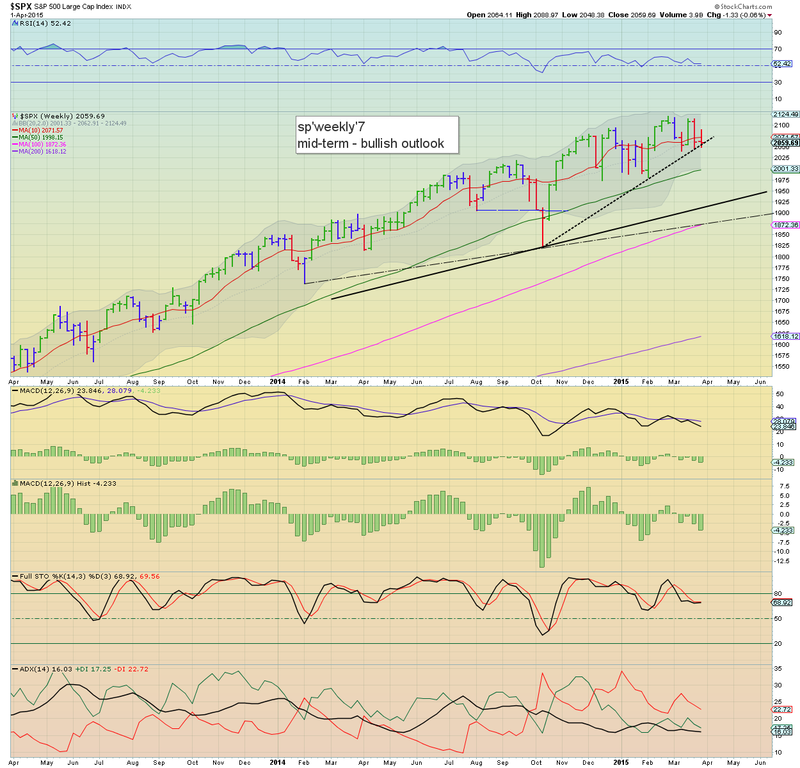 Weekly/monthly charts though would be 'moderately' suggestive of a washout into mid April. US equities have got stuck a touch under the 50dma, with the market looking to have maxed out at sp'2072. Another wave lower looks due, next target is the March 11'th low of 2039. Metals remain weak, Gold -$6, with Silver -1.7%. Oil remains moderately choppy, -0.3%. *The April 1'st gains in Gold should not have inspired the gold bugs. The mild hysteria about re-taking the $1200 threshold... is already fading. Not much to add.. on what is a naturally quiet pre-holiday Thursday. 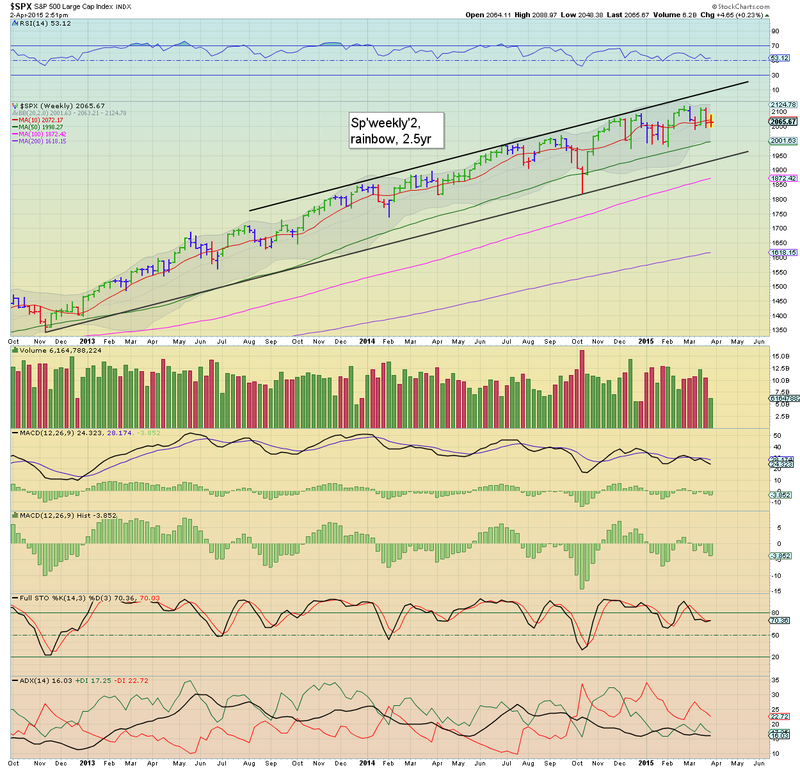 All things considered, weakness into the close looks likely... with most indexes set to close flat/touch red. So... morning gains.. but I don't expect them to last, and it looks like market is unable to re-take the 50dma of sp'2073. A daily/weekly close <sp'2055 (broken rising trend). 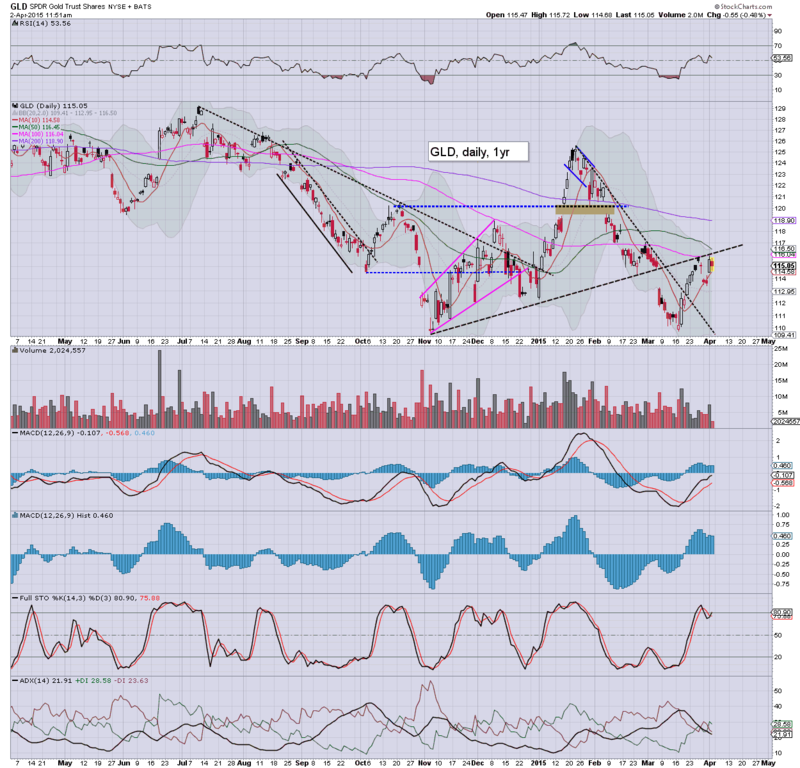 .would be especially useful.. and help offer a gap straight under the 2039 low at the Monday open. 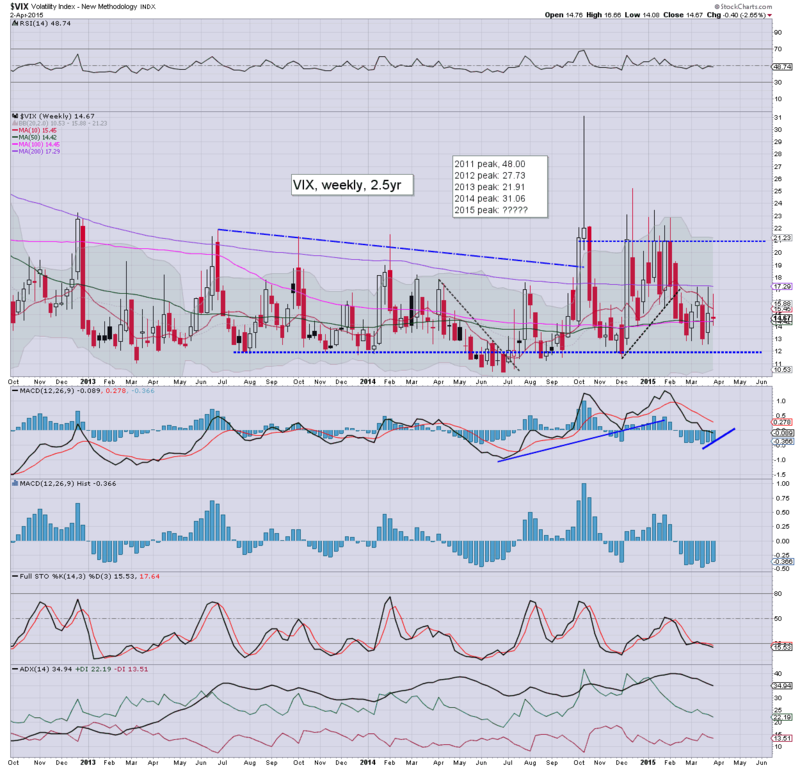 A weekly VIX close.. at least >15.50 would also help to offer some bearish clarity as well. weakness... GDX -1.6%.. as the metals cool into the weekend. Equities open a touch lower, but are now broadly holding moderate gains, with the sp +0.5% @ 2070. A weekly close in the sp' 2070s would seem unlikely though, not least ahead of the 3 day holiday weekend. Metals and Oil are both trading flat. *VIX is naturally cooling, -4% in the 14.40s, but will probably rise into the close, ahead of the Friday jobs data.. when market is closed. So... some gains, but I can't see them lasting into the close. 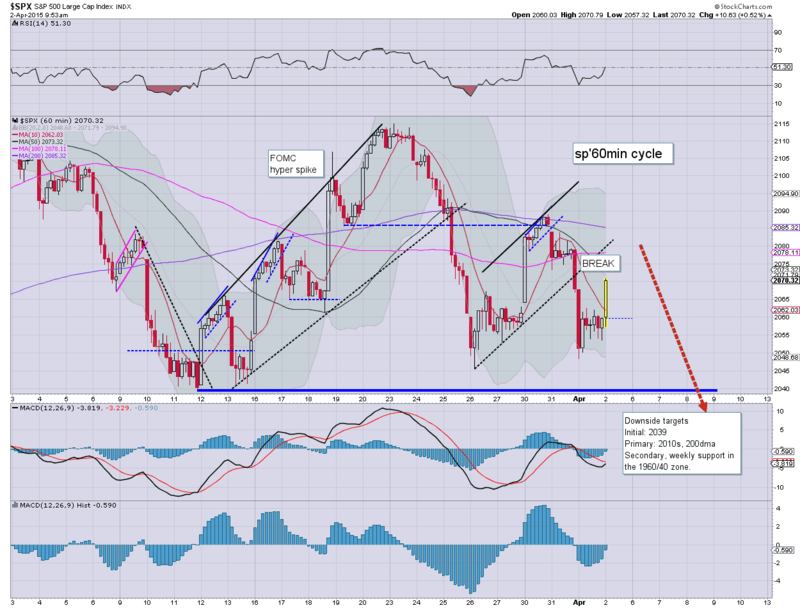 More likely... a flat close, which will make for a minor net weekly decline. Notable strength: TSLA +2.1% in the $191s. 10.01am.. factory orders +0.2%... but that is not exactly inspiring. Metals are snapping lower... Gold -$6... which is especially weak, since the USD is very weak, -0.6% in the DXY 97s. 10.34am.. Market unable to claw above 50dma of sp'2073. Indexes cooling..... after all, who wants to hold long across the 3 day weekend? Good morning. Futures are a little lower, sp -4pts, we're set to open at 2055. Metals are a touch weak, Gold -$1. Oil is back on the slide, -0.8%. Well, lets pretend its Friday... since its effectively the end of the market week. Equity bears look set for a third day in their favour. A daily close in the 2040s would be useful. As things are... a break under the key low of 2039 looks unlikely today, but very viable next Monday. Its almost the long holiday weekend! It was a second consecutive day for the equity bears, with the Monday gains now fully negated. The sp'2039 low looks set to be taken out within the next day or two, offering a test of the 200dma in the 2013/15 zone next week. Things really only get interesting on a break under the giant sp' 2K threshold. *with further declines, the weekly candle has turned from blue to an outright bearish red. There is arguably a trend break.. which would be suggestive of downside to the 2010/00 zone. Thursday will see the usual weekly jobs, intl' trade, and factory orders. It is notable that since Friday is closed, we'll have some end-week issues... with a viable case of 'rats selling into the long weekend'. 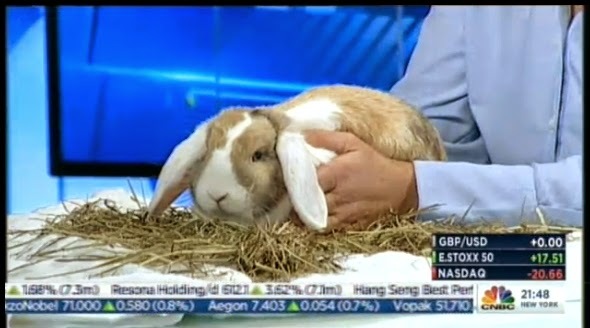 *Yellen is due to speak, but I don't believe that will be of any importance. US equities closed pretty weak, sp -8pts @ 2059 (intra low 2048). The two leaders - Trans/R2K, settled lower by -0.8% and -0.1% respectively. Near term outlook offers a test of the 2039 low... which looks set to fail, opening the door to a more critical test of the 200dma in the sp'2013/15 zone next week. A second day for the equity bears.. with borderline breaks of trend on the bigger weekly cycles. Transports is leading the way lower... as it should. The fact it has already broken the 200dma should at least marginally concern the bull maniacs.